“Working with Cleopatra has been great,” says Fosso, “They’re skilled and competent, I’m sure they will take Armonite to the next level. As with the previous album, And the Stars Above is an instrumental mix of electric violin, keyboards, bass, and drums with focus on the amazing and powerful electric violin, performed by Jacopo Bigi. Interpreting the music composed by keyboardist Paolo Fosso, Armonite also performs with bassists Colin Edwin (Porcupine Tree) and Alberto Fiorani, along with drummers Corrado Bertonazzi, Emiliano Cava, and Jasper Barendregt. And the Stars Above is a journey through 12 tracks, starting with “The March of the Stars” inspired by Dante’s Paradise and ending with “Ghosts”. The album also features two bonus tracks- a polyrhythmic piece for piano solo, ‘The Fire Dancer’, and the String Quartet “A Playful Day”. ‘And the Stars above’ is set to be released in late Spring. Jacopo Bigi also plays viola (District Red, Ghosts) and ukulele (By the Waters of Babylon). He whistles on ‘Freaks’ and plays both violins and viola on ‘A Playful Day’. 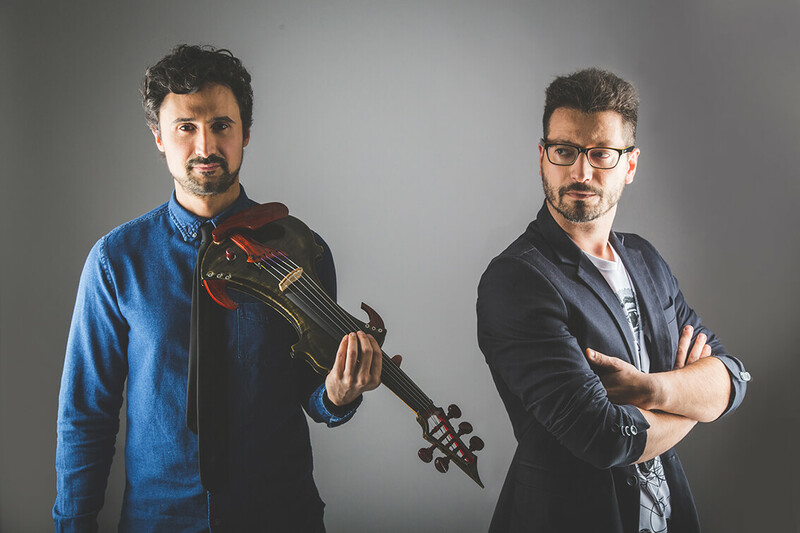 Composer Paolo Fosso and violinist Jacopo Bigi are classical-trained, but “classical” is not how they would describe themselves. Through their teenage years, they joined a few local bands playing a variety of genres and artists, from the Beatles to Dream Theater. 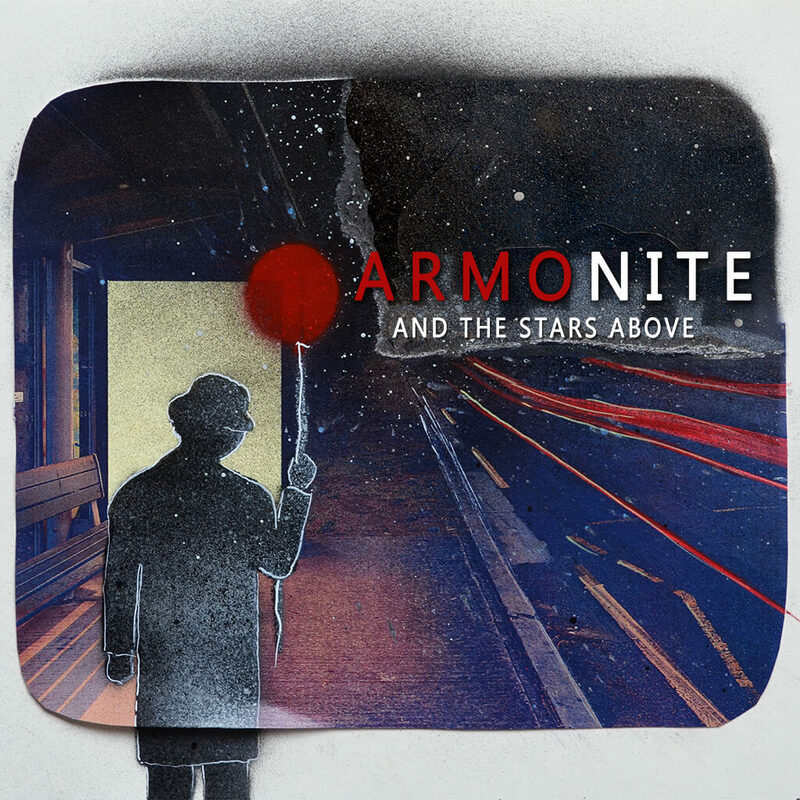 At the end of the ’90s, while still in college, they would play in a band called Armonite. They released an album in 1999, performed a few dates live, and then split up. In 2015, they formed a new band while borrowing the name of their old one. When they had enough tracks to make an album, they hired Porcupine Tree‘s bassist, Colin Edwin and Dutch drummer Jasper Barendregt for the recording, which took place remotely. The first producer of Muse, Paul Reeve, accepted the offer to produce the entire work, with mastering at the Abbey Road Studios in London. Their album “The Sun is New each Day” was released in June 2015. On September 21, Armonite performed at Expo 2015 Milano for “The Water Rooms” Official Launch organized by UNESCO. After their performance in Bettmeralp, Switzerland, at an elevation of 2,000 meters (6,500 ft), the band toured UK in mid-July 2016. Armonite has published the videos of a few soundtrack renditions from the most popular video games and movies: Game of Thrones, Pirates of the Caribbean, Harry Potter, The Exorcist, Suspiria, Skyrim, Final Fantasy, Halo, Metal Gear Solid, The Witcher, and many many others…!